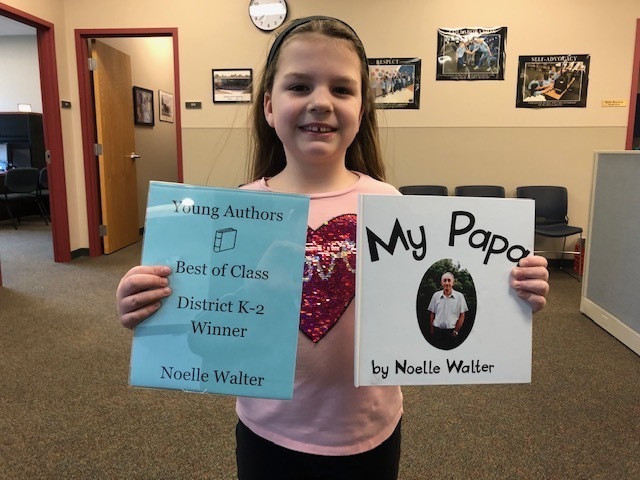 We are happy to announce that Noelle Walter, in 2nd grade, won Young Authors "Best of Class" in K-2 for the entire Olympia District. Her book, titled "My Papa" is a story about her grandfather. Noelle will have an opportunity to attend the 45th Annual Illinois Statewide Young Authors' Conference in May at Normal West High School. Her book will be read, discussed, and affixed with the official seal of the Young Authors' Conference. We are so proud of her accomplishment!